The court had taken up a petition filed by Barrister Zafarullah Khan of the Watan Party seeking its directive for construction of dams, including the Kalabagh dam, to ameliorate the worsening water scarcity in the country. World bank not full filling it’s obligations. Based in this article, it seems that Pakistan should go to the ICA as soon as possible. 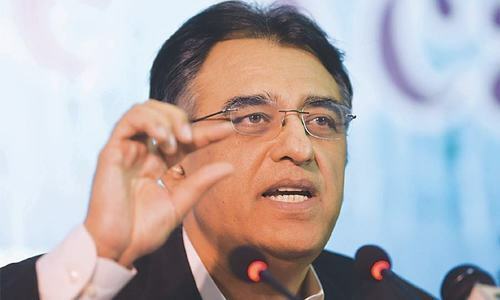 However, this a highly technical issue and should be dealt with competent people from Pakistan's side, rather than absconders like Far, who will try to find an opportunity to make money for themselves from this scheme and abandon Pakistan. past 48 years not a single dam had been built when 20 per cent of development in the country depended on the availability of water. it explains all. Modi has already bought out the world bank chiefs. Money Talks and there is no justice. Pakistan must save water by building smaller dams and must stop blaming India for water scarcity. We are wasting our own water and doing nothing to stop water from going to sea. Just pointing towards India for all our illnesses is totally wrong. According to genuine research south Asia is going to get big hit by climate change in coming 20 years. it immense need of the time to handle this matter on war foots. Now we are on the verge of water crisis. Build dams, on each and every possible location, plant trees, control population, use every resources carefully. Just listen to Pakistani Water Experts on Pak Television and you will know the Truth. Pakistan Has No Case on the Dam - India is fully within the Agreement to take its share of Water. Looks like India has already won the case. IMF has proven useless in issue resolution. Water crisis is there to see. It is becoming greater problem everyday. Not sure why none of the political leaders have it in their agenda. Good decision by WB. Hostility with India will lead nowhere. Now, IWT will have to be revisited. It's 50 year old treaty and it has to be revised because there's no optimum use of water by Pakistan and India's water requirement are on the rise. More dams needs to be built on both sides. For this, bilateral discussion is needed, running to WB will not help. 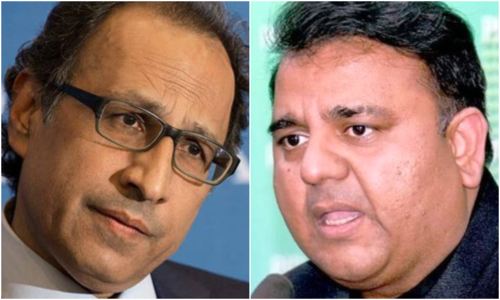 The Indian lobby in the World Bank will play its role in blocking Pakistani voices. The biggest problem is the Country Representative of WB in Pakistan who is an Indian stooge and salutes them all the time for supporting him. Pakistan should throw him out. World Bank is mature.Pakistan should accept the advice. Satyamev Jayate. India did not do anything wrong in using its share of water. Nawaz Sharif and his so called foreign ministers messed this up very badly. @gaurav You are correct. pakistan failed to take adequate measures to conserve water. But, according to the treaty,Pakistan has exclusive rights to the water from Indus, Jhelum and Chenab. However, India must understand that by threating Pakistan's water supply it is basically going to push Pakistan towards open war with India.If India wants to take that risk it is up to it. pakistan is wasting so many resources, lets focus on our own rivers that we do not save water from. @Biased World Bank wants India to contribute to it. @Biased ... The World Bank is not a country. What can they do - threaten to send their army into India? Indians using their strong influence to pressure Pakistan through sanctions, separatists and now water. Amazing! Obstructing the door of justice. World Bank speaking language of India. World bank is heavily influenced by USA. @Pakistani no, you are wrong here about the exclusive right of Pakistan on Western Rivers. It is mentioned in the treaty that India can use the water of the three Western rivers without damaging the flow of water. India have done nothing wrong. Pakistan must except the truth. These are water sanctions on Pakistan by India. Time to scrap the treaty and put both 'Waters' and 'Kashmir' on table. Pak may be given one more chance to choose. @Pakistani Pakistan has unrestricted rights to the water from Indus, Jhelum and Chenab, but India is allowed by the treaty to use the water for non-consumptive or storage uses, such as agriculture and hydro-electric power generation. Unless Pakistan can prove that India is consuming or storing the water, it has no case. @Khurram IMF has nothing to do with any Water Treaty or issues. @Pakistani, please read the treaty first. 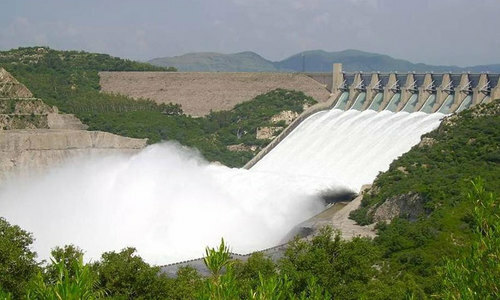 India can use 20 percent water from the rivers allotted to Pakistan by building hydel power plants. In the case of disputes and to resolve them, the first option is to setup neutral expert. If disputes not resolved by neutral expert, the second option is the intergovernmental dialogue by both country. Even if not resolved through dialogue, then the third and last option is the international court of arbitrations. It is beyond understanding, how and why Pakistan wants jump to the last option without trying first and second options. Moreover, World Bank has very limited role in the IWT now. That effectively means the world bank is not neutral on the matter. Instead of enforcing rights of the weaker party as per agreement, all world bank chooses to do is pressurise the weaker one to give up their stance slow claps world bank! With the pro-Modi government in PML-N, it was expected. Nawaz and his cronies are economic hit-men. @Truthful_Honest , for 48 years not a single dam built by Pakistan. That speaks a ton. Don't blame India for your ineptitude. @Pakistani please understand the fact buddy. We are not taking away your water. We are making electricity out of it. Ultimately it will flow to pakistan itself. As per IWT it is possible for India to do so. It's time to scrap IWT. It's outdated and redundant. We should follow China - India - Bangladesh model. Even without a formal treaty, everyone coordinate well. Time to build more dams and efficiently use the water. @Pakistani Pls refresh your knowledge of IWT. I think Pakistan has no option except to accept all option from WB and IMF. Because in past ten years these two political parties damage Pakistan's economy so much that it is irreparable. Why does India have a high influence on everyone related to Pakistan? Another india-pak war is on the horizon..
@Pakistani We are open for any risks buddy. Bring it on. Money talks, as simple as that. World bank Is a sham. Shame shame India. Pakistan should go to international court of justice! It’s a matter of survival. It’s an international treaty not a bilateral agreement . Do not listen to India! Pakistan must take the matters in her own hands and explore the option of a direct strike. Pakistan can not allow India to control her water. Indus Water Treaty was from day one in India’s favour and is today dead. We lost cobtrol of our 3 eastern rivers in 1960 and now weatern rivers as well. Criminal neglect by all governments by not building dams for half a century. All parties running for elections do not have dams, which are vital for our country, in their programs. International organizations will never vote in Pakistan’s favour as the dams are almost complete. @Rajabhai What share? India already got full access to 3 eastern rivers and is now taking Pakistan’s rivers as well. Pakistan should explore the possibilities of surgical strikes on this extreme threat to national security. @Pakistani good lets do it. @RAJA RAMAN Stealing Pakistan’s water on the ground that Pakistan has not fully used the water (lack of dams) is flawed thinking and the very definition of «water theft». Indus Waters Treaty provides for a hierarchy to resolve differences and disputes vide article IX. First, the bilateral Permanent Indus Commission (PIC) can addresses technical 'questions' and if PIC can't resolve the matter, the question becomes a "difference", which is addressed by a Neutral Expert(NE) appointed on request by either party. If the Neutral Expert decides so, he can refer a part of a difference or the whole of it for resolution by a Court of Arbitration (COA). COA has 7 members, 2 arbitrators to be appointed by India and Pakistan, and 3 'Umpires' nominated by certain global dignitaries.Pakistan should follow the process the defined and next on list if PIC fails is Neutral Expert. @John , we keep hearing this for decades. I do wonder, water is flowing through India itself, then why India should use only 20%. Understand that run -of-the-river dam is permissible. All should understand that run -of-the-river dam means that water is temporarily stored and used for power production and all the water flowers back to the river after power production.. Hence no water is lost for Pakistan. If in doubt the best is a neutral expert. Treaty means treaty and exclusive means exclusive..
Future wars will be done over water and it seems like we are heading towards one. Well knowingly that India is an enemy, Pakistan should had constructed it's own dams long ago but dirty politics led to it's demise. Now face the consequences! @Nitin Would you have said the same thing had the decision was n Pakistan's favour? @Pakistani come on mate, we're waiting. @Pakistani walk the talk mate, for once. So sad to have gone through comments here! Every time there is a story like this one, we hand our sanity somewhere inaccessible.... and a kind of irrelevant unhelpful fingure pointing blame game starts. If these comments are genuine and not engineered by stooges of the spy agencies in respective countries, it gives an impression of an unwarranted provocation at people to people level; as if we all are putting in our share in keeping the hostility alive. Who are these individual to assume speaking on behalf of people or governments of India or Pakistan? @Pakistani we've been doing this for 20+ years and still you did nothing, what are you waiting for...... China to help? Pakistan should do what is best for it's interest, WB should not dictate. Pakistan's case is quite strong if patriotic, competent, technical, and honest professionals to handle it. Otherwise, we will miserably fail in any forum we decide to fight it. @Pakistani let the war begin and we'll see who's at risk! @Pakistani - Sir, Pakistan does not have exclusive rights to the three rivers. India has right to take 20% of the water and currently taking only around 7-8% which will be increased to 20% as soon as possible. Do not try to break the hand which is giving you water otherwise IWT will be cancelled. You are trying to stop development in Kashmir which will help local people. Do you guys really care for Kashmiris? @Pakistani Dude are you threatening an open war ? really ? @gaurav yes, all the present dams were built during dictators period, exposing the competence of civilian democratic got. @Pakistani read some history and then you'll know who's at risk. It is a simple proposition now, since the water flows from Pakistan to India and than re-enters in Pakistan, why not Pakistan build a dam on the first junction to block the water from entering India than World Bank will listen and than we as for neutral experts to discuss.. If World Bank ruled in favor of Pakistan then WB is unbiased, if in favor of India then India bought it. If Pakistan is technically right, it should have been able to defend it's case. If WB and India agree on the approach after evaluating the facts, then Pakistan can either agree to accept the approach, or fight both WB and India in the ICA. Looks bad for Pakistan. Good Luck anyway. Great job World Bank...that is what India wants you to do which is do nothing while we keep building these dams. @Pakistani - my friend war is easily said then its done .. so let us not talk about it..
by the way if that's the only way out then Indian are ready !!!!! Its a shame that no dam has been constructed in the past 50 years or so and the current Chief Justice has had to take notice of this point. This has been criminal negligence on part of successive governments. I urge Pakistanis to link their voting preference to this vital issue. I personally will reserve my vote for the party that features water security as their top agenda. First Pakistan should build dams for her requirements. Also, be prepare India will release water into the the rivers as they want or if storage level goes beyond the max capacity. This will bring frequently floods in plains of Pakistan. And, Indian authorities have done in the past. So, the government of Pakistan and reserachers must take this subject seriously. Don't leave it up the the unqualified politicians and don't expect any good from Indian government. 4 words: Surgical strike this dam!!! You don't have the money to build dams and no one will lend you any money. So stop blaming India for your problems and focus on improving your economy instead of spending all your money on building nuclear weapons. Build dams instead. Why is WB supporting India? Think people think - because its not breaching the treaty! @Pakistani Looks like you have learnt no lessons from the previous wars. Try it and see what happens. You dont have any money and no one will lend to you now. So its too late for you to build any dams either. I think Pakistan should remain adamant on their move of solving water disputed dam. India always by passed the laws and thus making this area under extreme tension. Pakistan should go to the highest international court and should never give any room to India to play with us. Another serious conflict between the nuke capable nations that are already ridden with multiple conflicts. It will add further fuel to the fire. the stooge World bank and the other Global organizations should pay a due heed to the matter else the situation comes out of control. Pakistan must go to the international court of arbitration. Don't believe on neutral expert, there is nothing neutral. Fight your case with full force! @gaurav You are allowed to build dams but not at a cost of sovereignty of other country. Pakistan should simply state. It regards water loss as an act of war. No more diplomatic niceties. That is the only language the WB understands. Becuase the next argument the WB will use, is that the dam is now built, so the ground situation can't be changed. They'll come up with some cosmetic water protection scheme. Promise some funding. The block the funding some years later. Pakistan record at any International Arbitrations: Pakistan has never won any case till date. Looks like water shortage is imminent. Strike is the only option. Once carried out India will not dare To interfere with the treaty. Pakistani governments have been fooling its people since '47 and continue to do so for water matters. @Hassan Javed Darling, is it not better to acquire knowledge about the treaty, before trying to acquire the sympathy? Indus water treaty is based on mutual trust and it is the only example of goodwill gesture between two countries in the world. @Rafik , OK. As you wish. Pakistanis are and will remain in denial mode to really gauge the cause for the current crisis they are confronted and will be daunting in the years to come if they donot wake up from their slumber. Is world bank taking indian side? Why should Pakistan stand down from international court of arbiteration. If it does, future generations will suffer and may not forgive mistake of today for suffering for of tomorrow. No need to please world bank. We know who runs world bank. Do what is right for Pakistani people. What's wrong with neutral experts? if you are on solid ground then why the concern? Also, arbitration requires both parties to agree to the mechanism. This is just theatrics by Pakistan leaders for the benefit of their people. @Pakistani you are welcome to wage a war.Earlier the better. Pakistan should accept the truth that India have major share in Indus Treaty. @Pakistani How long you keep threatening us with war my friend?????? Has your govt ran out of options??? Pakistan should decide in its own best interests. @Pakistani - Don't blame others for your mistakes. Still there is time to take the corrective action which make sure the future of your county. @gaurav. Be that as it may, when you sign up to a treaty you need to honour it. When you don't, there are reprecussions and consequences. Something India never seems to understand. @Zahid Haroon : Fight Your case with full force - and waste your dollars on foreign Lawyers charging fees in the range of 200 to 800 pounds per hr. There are no water expert lawyer in Pakistan. @Iqbal and then be ready for retaliation. @Iqbal better do it than say it and see the result. @Iqbal Walk the talk, something you can't. Why India built a dam, has anyone thought and discussed? What was the circumstances? If you work on that aspects, I am sure there will be no role of any arbitrator to resolve any matter between both the countries. Quote from article above: The 1960 treaty recognises the World Bank as an arbitrator in water disputes between India and Pakistan as the bank played a key role in concluding this agreement which allows India to have control over the water flowing into three eastern rivers — Beas, Ravi and Sutlej — also permitting India that it may use the water of western rivers — Chenab, Jhelum and Indus — but it cannot divert the same. India considers this as a permission to build “run-of-the-river” hydel projects that neither change the course of the river nor deplete the water level downstream. Unquote: Now Pakistani friends, who are lambasting WB & India, up to extent of going to war, how can you prove that India is violating the treaty. On the contrary, it’s Pakistan who doesn’t want to abide by treaty. The UNNECESSARY drama Pakistani politicians are creating around this is to divert the public attention from more pressing issue back home. The suggestion for appointing a neutral person to look at the problem is of little use now. There is no such thing as neutrality among the holiest of the holies in today's world. Going direct to the ICA will also save time. The WB suggestions must be ignored in this case. Pakistan must follow the fastest path to find a resolve to the issue. This is totally against the treaty signed by both countries and India by all means should honour it. @Yasir Nobody is usurping Pakistan's share of water. Indian uses even less than 60% of it's allocated quota as per IWT so there is no stealing of water. IWT specifically allows India to use water of Jhelum for electricity production in a "non-consumptive" way. India is just using the force of flowing water to generate hydro electricity. @Biased. please elaborate and provide justification for your allegations. @gaurav Defence spending has received a boost of 20% though....who cares about water. @Shaffiq Mahmood Try the other option, and see what happens. @point of view I did not treat anything about 20% in the article. What does the treaty say? @Pakistani You are wrong . As per treaty, india can use upto 20% of water from these 3 rivers. First you have to quantify the amount of water that Pakistan allows to run into the sea. I have seen the figure of 80% mentioned somewhere. I am sure the people commenting on this issue know better. If any one has the figures please? It can be starting point of this debate. Leaders too busy filling coffers and grooming their kin for political careers but not investing or planning for future of the country and this is what inevitably was to happen. I seen news many times of rain and floods in Pakistan. This excess water should have been saved and used when supply is less. That means build dams.It is so simple. In future India may sell water to Pakistan. If Pakistan does not have any intention or the capacity to build dams and utilize the river waters for some useful economic purposes and all, or most of these Indus rivers waters just drain into the ocean, then India is perfectly within its rights under the Treaty to build these dams to generate economic value. In the absence of such dams or storage reservoirs to prevent flooding in Pakistan during the rainy season, and supply water during dry seasons, it's just a colossal waste of a valuable natural resource. With these run-of-the-river dams no water is consumed, and all of the river water, after passing thru power generation turbines, flows back into the natural rivers streams entering Pakistan. No court of arbitration in the world would deny India this right to build such run-of-the-river dams to utilize this valuable resource. @Pakistani The treaty allows India to use the 3 western rivers for limited irrigation use and unrestricted use of power generation, as long as India does not deviate course of the river or store water, Kishenganga dam is a run-of-the-river hydroelectric project. It does not store water, If Neelam water flow is less it is not because of Kishenganga dam, may be some other reason ? @Rafik You are already doing it. @SHAHID SATTAR if your self interest is above procedural requirements of agreements, why you expect India to stick to treaty??? @Vikas P , well said. Jammu & Kashmir is a disputed territory, therefore, whatever construction India does in it will also be disputed. Pakistan needs to increase its assertiveness and show the world how unethical India is. @Sham India is Violator and criminal and will be brought to justice. Pakistan has kept India in check. Is World bank biased? What is wrong in accepting a neutral world finance authorising body as a 'neutral expert '? Good decision by world bank. India will decide the neutral expert. @Pakistani If pakistan has issues the treaty can be scrapped. The Indus water treaty has worked so far only on good will and generosity of upper riparian india. If you want to put spokes in India's water conservation and energy production plans, this treaty can be scrapped. Time has come to face harsh truth. Our leaders have their entire families settled over seas. Their children has foreign nationalities. Even Nawaz Sharif’s sons are not Pakistanis and Musharraf’s son is settled in USA. These people have no personal stake in the future (lets say the year 2050) of Pakistan. It is our children who will die of thirst and hunger. PLEASE remember this the day you vote. @Hassan Javed please don't forget this treaty can be cancelled by both parties and there is nothing stopping it. It's not a contracts. That's why it's called a treaty. Don't accept, that will not be neutral. @Usman If Dam is in disputed territory, so is CPEC. Your double standard is deplorable. Bias is openly shown and we need to take our right back through position of strength as great nations do. The world bodies prejudice against Pakistan is all part of economic game and foxy nature of coward Indians as they present themselves as victims. @SHAHID SATTAR "Going direct to the ICA will also save time. " going to the ICA should be the last recourse if the two countries do not come to a solution mutually or through mediation. ICA has no time for such open and shut cases. @Hassan Javed, Pak need to know that India is a modern state and will not give up its territories. Pak has not gained from its wars that it had fought except for giving military a bigger role in a sham democracy that feeds on one third of its budget. 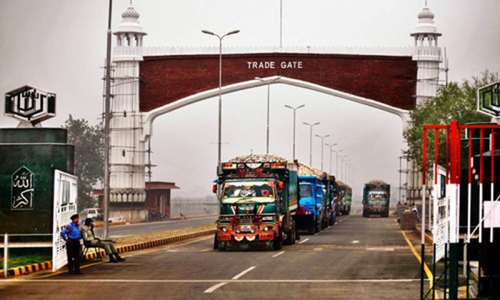 If pak is ready to bury its hatchet forget water booming trade too will alleviate poverty in Pakistan. Pakistan is loosing out from taking benefits from one of the worlds largest market on petty issue.Hope better sense prevail. @Zak I can see that. @Altaf Noor Ali. Very well said sir.War is not and never should be an option to resolve such problems. You may or may not agree with me but I am a firm believer that the best thing for both countries and specially for Pakistan is to sit and shake hands with India and progress togather. We both have too much in common. @Cricketer Stick to cricket if you don't read the treaty of 1960. Islamabad argues that the 1960 Indus Waters Treaty (IWT) gives Pakistan control over the waters of the Indus, Chenab and Jhelum Rivers. The treaty gives India control over three eastern rivers — Beas, Ravi and Sutlej. India may also use the waters of the western rivers in “non-consumptive” ways. It interprets this as a permission to build “run-of-the-river” hydel projects that do not change the course of the river and do not deplete the water level downstream. 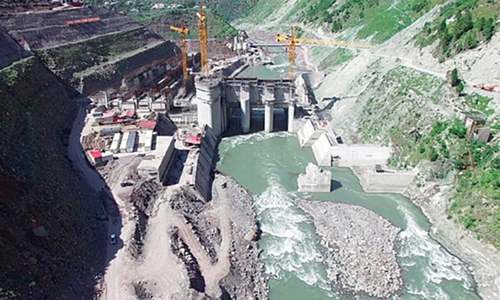 Pakistan argues that the Kishanganga project violates both conditions by changing the course of the river and depleting the water level. Since it was an "agreed upon treaty", Pakistan has a right to go to International Court of Justice to seek resolution. An appeal to all Pakistani politicians to save the motherland with prevailing water crisis & join hands on the issue ' we unanimously agree to build Kala Bagh dam with all the resources available ' with a common Agenda of present elections. Our future generation will ever remember us.